Carrying out work at height carries significant risks, especially when carrying out cleaning tasks in hard to reach places. Falls from height are one of the biggest causes or workplace fatalities and major injuries. Since 2001, an average of 50 people have died from falling from a height and more than 8,700 have been seriously injured. High level cleaning is a term used for cleaning anything over 2.1m, however a drop could be less than 2m and a serious injury could still occur if the correct risk assessment, procedures and equipment are not used. The Health and Safety Executive (HSE) gives comprehensive information on working safely at height and how this applies to different sectors such as in roof work. High level cleaning is specialist work. High level cleans can be carried out using mobile elevated work platforms (MEWPs), including scissor lifts, cherry pickers, various booms or scaffolding towers erected by an operator with a valid PASMA certificate. Dangers arise in operating MEWPs, while safe workplaces need to be established separating pedestrians and vehicles to provide hazard-free routes. MEWP operators must therefore be appropriately trained and hold a valid IPAF operator licence. Where is high level cleaning used? Most premises will have a use for high level cleaning, including exterior walls, stonework, light fittings, roofs, cladding, gutters, skylights, high level girders, eaves and pillars. Graffiti is another area where fast, efficient and safe cleaning of difficult to access areas is essential. Ensuring that the outside of your premises is clean and well-presented gives a clear visual message to the public that your business works efficiently and cares about its customers and staff. High level cleaning inside of a building is equally important for creating a pleasing, healthy and safe environment. There are many areas where it can be used such as cleaning roof purlins or girders, pipes, sprinkler systems, ducting, electricity casing and cables, vents, extraction units, fire sensors, steel work, roof beams, internal office walls, ceilings and light fittings, ovens, tanks and many more. The manufacturing and industrial sectors, including food manufacturing, automotive, ceramics, plastic, and anywhere that large amounts of dust such are produced, such as wood processing, all have a requirement for high level cleaning teams with the skill and experience to carry out work professionally and safely to work in our outside of hours or weekends to get the job done and minimise down time. What are the benefits of high level cleaning? As well as improving the working environment for staff and presenting a professional image by making the area look fresh and new, high level cleaning, especially when included in a planned preventative maintenance programme (PPM), can help prevent product contamination, reduce fire risk, help to maintain the fabric of a building more easily, extend the life of assets and operating plant and machinery, and avoid water overrun, flooding and damage caused by ice. If high level cleaning in factories is ignored, the build-up of dust can provide an extremely flammable atmosphere which can ignite and cause large fires. The HSE can impose large fines on companies, and even close them down, if they fail to meet the required standards. Dusty and unclean environments can also reduce the efficiency of machines. One of AM Services Group’s clients reported a 27 per cent increase in efficiency of one machine after the area was deep cleaned. High level cleaning can even improve light intake, increasing wellbeing and supporting Health and Safety and the employer’s Duty of Care. Where can AM Services Group Specialist Technicians deliver real benefits with high level cleaning? AM Services Group’s team are very experienced at delivering high level cleaning.  The specialist technicians pride themselves on taking their own and the client’s Health and Safety extremely seriously. AM Services Group’s fully qualified teams are fully equipped with appropriate personal protective equipment (PPE) and trained in the very latest safety procedures. The company invests in high level cleaning equipment so that innovation supports the safest, and most cost effective way to clean high up and difficult to reach areas. experience providing this service to a wide range of customers including blue chip companies.